Porto have completed a move for former Manchester United right-back Saidy Janko to replace Diogo Dalot. United have been quick in the transfer market this summer, as Jose Mourinho reached out to his former club to sign up 19-year old Diogo Dalot. The Portuguese youngster is said to be the next big thing in Europe, according to United gaffer. 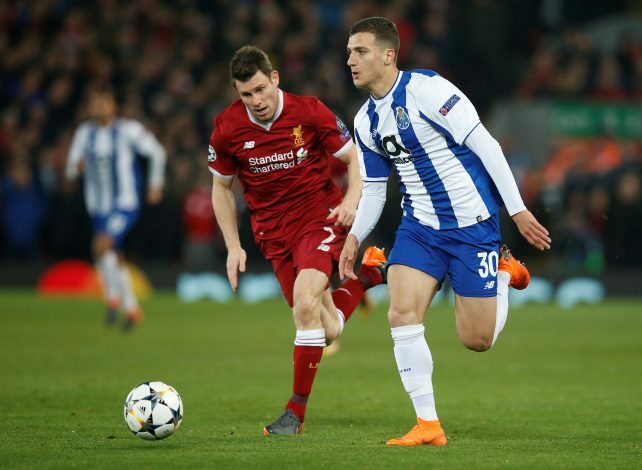 In his breakthrough seasons at Porto, Dalot made 6 leagues appearances. He also started in the Champions League once, where he played the full 90 minutes against Liverpool. The Red Devils managed to sign the right-back for a reported fee of £19 million. This week, Porto completed a move for his replacement. The Portuguese champions announced the signing of Saidy Janko from St. Etienne. The Swiss right-back signed his first professional contract with United back in 2014. Janko started out his career at FC Zurich’s academy, but later moved to Carrington. After the end of the year, he was promoted to the first-team squad. On 24th August 2014, he came on as a substitute in the infamous game against MK Dons that saw United lose 4-0. This was his only senior appearances for the club, and he left for Celtic in the summer of 2015. In his two seasons in Scotland, Janko made 20 appearances, winning two league titles and a Scottish Cup. Regular football was hard to come by under Brendan Rodgers, so he made the move to Ligue 1 last summer. He joined St. Etienne on a four-year contract. Janko made 21 appearances for The Greens and caught the eyes of a number of suitors. Porto decided to dive in for the player and completed the move today. Porto has signed the 22-year-old as a direct replacement for Dalot, as they look to continue their dominance in Portugal after winning the league by seven points last season.